Throughout the Ebola outbreak there have been UK media headlines reporting ‘suspected’ cases. PHE expert Dr. Emma Aarons looks at the meaning of a ‘suspected case’, and why it’s important to view these in the wider context of our testing efforts. Update 16 March: We have amended this blog to include up to date information on cases of Ebola in the UK after a UK military healthcare worker with Ebola was transported from Sierra Leone to the Royal Free Hospital in London on 12 March. Ebola is a rare but severe infection in humans and non-human primates, caused by the Ebola virus. It has caused outbreaks in several African countries since it was first recognised in 1976 and is one of a group of illnesses called viral haemorrhagic fevers that can cause life-threatening illness with bleeding (haemorrhage). The initial symptoms of these viruses vary but generally include fever, fatigue, muscle aches and weakness. Lassa fever, Crimean Congo Haemorrhagic Fever and Ebola Virus Disease are all examples of viral haemorrhagic fevers. What does a suspected case of Ebola really mean? The term ‘suspected’ is used to describe someone who has become unwell following possible exposure to Ebola virus in the last 21 days. How does PHE become aware if someone needs testing for a viral haemorrhagic fever? Public Health England runs a 24-hour, 7-day a week Imported Fever Service. Hospital doctors can contact this service for advice about diagnosing and treating an individual with symptoms of an infection that may have been acquired outside the UK. This includes diseases such as viral haemorrhagic fevers, dengue and Chikungunya. After discussions between the doctor treating the patient and one of our experts in the Imported Fever Service, a decision is made as to what tests, if any, are necessary. If specialist testing is needed, the samples are examined for a range of diseases which could have caused the person’s symptoms. This may include testing for the viral haemorrhagic fevers present in the area where the patient has returned from. 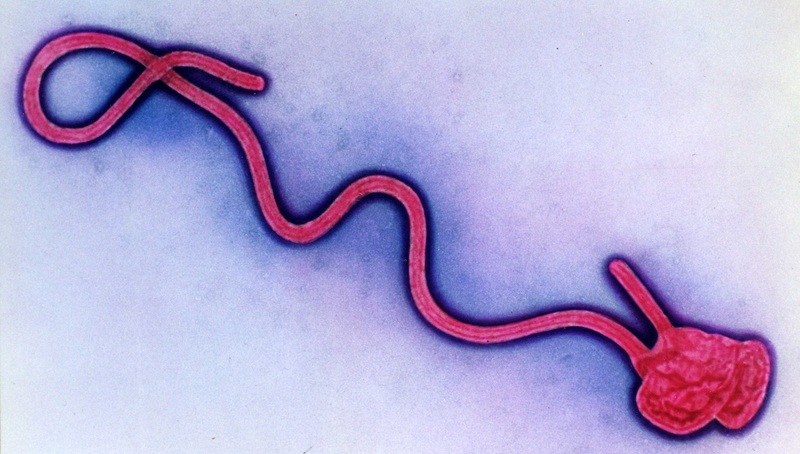 When can someone be tested for Ebola? Ebola testing is not undertaken until a person is showing symptoms that could indicate they have been infected. For Ebola testing, we use RT-PCR (reverse transcriptase polymerase chain reaction), which detects bits of the RNA of the virus itself. From the time we receive a sample for testing, it takes about 4 hours for an Ebola test result. However, a complete set of test results takes 7-8 hours, largely because we’re testing the sample for multiple other infections that may be present in the country of origin. So patients wouldn’t just be tested for Ebola alone? In the current outbreak, a suspected case is someone who recently returned from Sierra Leone, Guinea or Liberia and other diseases that cause similar symptoms occur in this region. For this reason, the patient may be tested for several other infections. Given this, a ‘suspected Ebola case’ could also be a ‘suspected malaria case’ or other infections depending on the patient’s travel history. Ebola is obviously in the public consciousness at the moment, but until testing is complete, we need to keep an open mind about what may be causing a patient’s illness. What happens to the patient while this testing takes place? A suspected Ebola case will be isolated in a side room so as to minimise contact with other people while they are being tested. Healthcare staff treating the patient will also wear appropriate personal protective equipment to protect themselves. A suspected case only becomes “confirmed” if the test for Ebola is positive, which will lead to the patient being transferred to a High Level Isolation Unit at the Royal Free Hospital. Do we alert the public every time we have a suspected case? We have a policy of not publicising individual suspected cases because we need to consider the patient’s right to privacy. If information about a suspected case is already in the public domain, PHE may publicly provide clarifying information . We publish a monthly summary of Ebola testing in the UK. Our most recent edition reports 178 Ebola tests carried out. We’ve had three confirmed cases to date, all involving UK workers who were infected in Sierra Leone, including two imported cases diagnosed in Sierra Leone prior to arrival in the UK. But what happens if the virus mutates? Ebola is a type of virus which we expect to mutate over time, and analysis of Ebola genes will inevitably identify such mutations. Currently there is no evidence of mutations leading to people being able to catch Ebola from someone who does not themselves have symptoms of Ebola. Also, no viruses affecting humans have been known to mutate and change their mode of transmission, so there is no evidence to suggest that Ebola could become airborne. The testing schedule employed in PHE includes a panel of tests, one of which is a pan-ebolavirus assay designed to pick up all variants of Ebola viruses. This means it’s very unlikely that any viral mutation would prevent detection. Thanks for the really insightful and succinct blog. The points you identify, and easily readable are really clear and practical. Good on you and all the team for all that you do too.